Coastal Signature Homes breathes life into your vision by providing extraordinary details and customer experience without compromise. Quality materials and consummate craftsmanship combine to fulfill your dream of an alluring lifestyle in the Lowcountry. 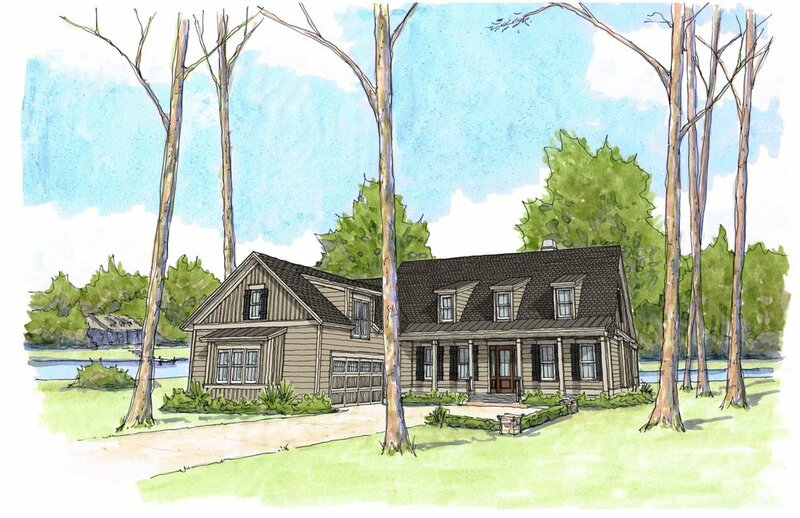 All Coastal Signature Homes encompass timeless hallmarks such as mahogany exterior doors, copper flashing, clad windows, solid poplar interior trim, reclaimed or hand hewn hardwood floors, numerous energy efficiencies and gracious screened porches. The floor plans below are a small fraction of the body of work available to Coastal Signature Homes' customers to select from when planning their build, and may be highly customized. Coastal Signature Homes is also a design-build firm and, together with our architect partners, expertly shepherds customers through the custom architectural design process and into the construction phase. The loftiness of the Ibis is apparent from the curb. Built on an elevated crawl space, this home is ideal for waterfront lots or low-lying topography. The home can also be lowered and built on a slab foundation. Inside you will find soaring 12’ ceilings with a clerestory in the Great Room, both of which allow the home to be flooded with natural light. Specialty trim details are standard in this home, and include buttboard in the Foyer, Powder Room, Master Bath, and Great Room on the Fireplace. The Owner’s Suite boasts a spa-like bath, complete with Roman shower. The Ring Dove has the familiar fine details and flow found in Coastal Signature Homes, but within a smaller footprint. The gracious Owner’s Suite includes access to the screen porch from the bedroom, separate closets, and a luxurious bath with free-standing tub, separate vanities, and walk-in shower. The Great Room’s 12’ foot ceiling showcases fine mill-work, including beams, fireplace mantel, and engaged columns. Two guest rooms share a Jack and Jill bath, with one room being large enough to also be a study space. With the Heron we are bringing the sophistication of Atlanta’s Buckhead to the Lowcountry. Still deeply Southern in her gracefulness, the Heron has unique elements such as the brick accent on the front facade that speak to city-life. This home is truly an estate, boasting four bedrooms, a grand Great Room, a library, two walk-in pantry spaces, an impressive Kitchen and an oversized 3 car Garage. If you are looking for a family home that lives large, and all on one floor, look no further. This is the right home plan for you! 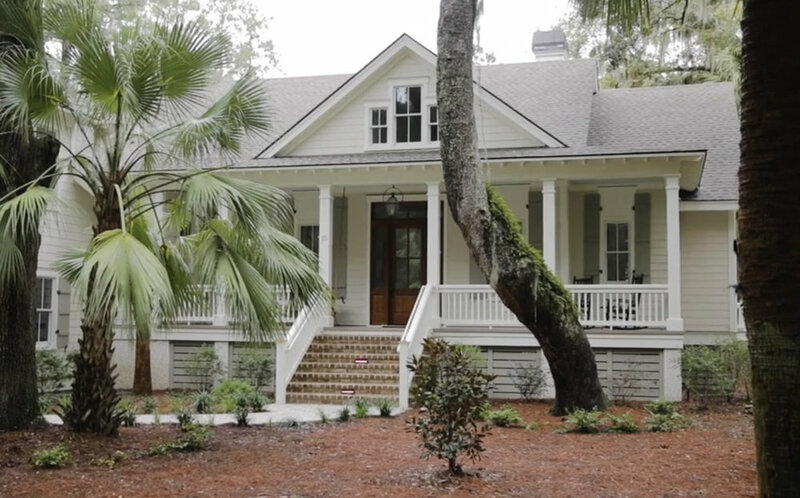 This modern take on the Lowcountry Cottage is perfect for entertainers and those who want to bring the outside in due to the truly open floor plan. Swap out the French Doors for a disappearing slider and you virtually duplicate the Kitchen, Dining, Great Room space by opening things to the screen porch. The vaulted common area floods the Great Room with light and adds vertical square footage. A unique Owners’ Suite offers a private study, and the smart nested foyer design provides privacy without disrupting the view outside. A flex space over the garage can be a bedroom, and boasts enough room for sleeping and play, along with a third full bath. In response to clients looking to downsize and simplify without sacrificing unique, purposeful design with handcrafted detail, we developed The Starling. It’s our most thoughtful smaller home yet, inspired by the careful design of European Country Cottages. This jewel box is sparkling with many of the features once found only in larger floor plans, including an expansive Great Room opening to a full Screen Porch with optional summer kitchen, walk-in Pantry, Bar Space for entertaining, our distinctive Mudroom Cubbies, Flex Space over the Garage, and Master Closet with Shoe Storage Island.